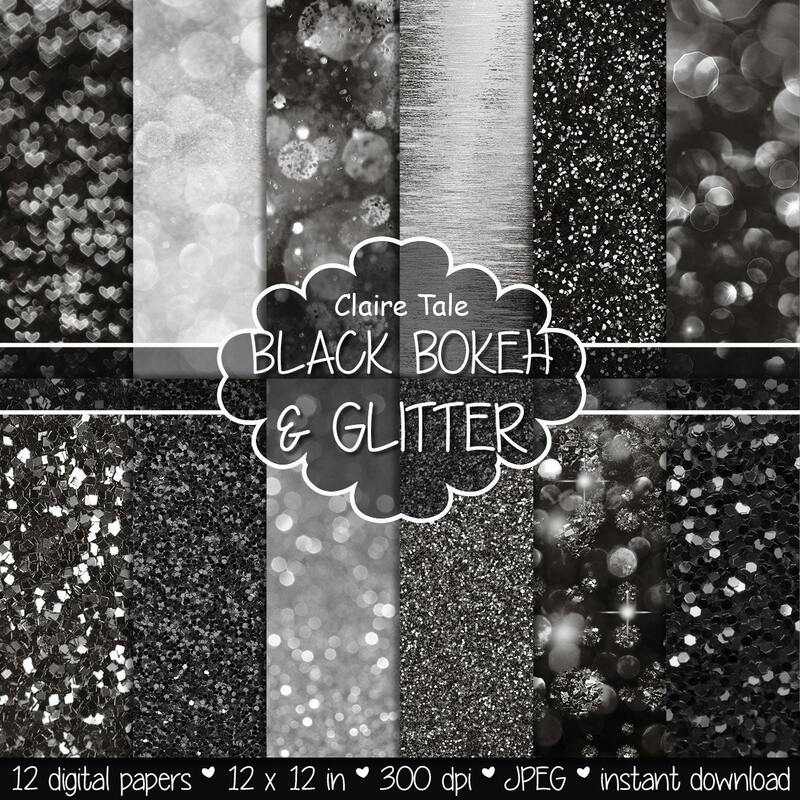 12 black digital papers: "BLACK BOKEH & GLITTER" with black glitter background and black bokeh background for photographers and scrapbooking. Perfect for scrapbooking, invitations, announcements, anniversaries, birthdays, party themes, stationary and paper crafts. Ready for immediate print and digital use. Wonderfully designed digital papers. Super nice!